Metallica are streaming video of a rare acoustic performance of their 1986 track, “Disposable Heroes”, from a November 3 benefit show at The Masonic in San Francisco, CA. 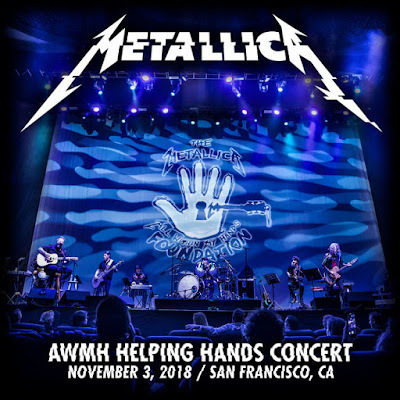 The “Master Of Puppets” classic serves as a preview to the February 1 release of a limited-edition, vinyl version of their recent unplugged set at the inaugural All Within My Hands Foundation Helping Hands Benefit Concert. 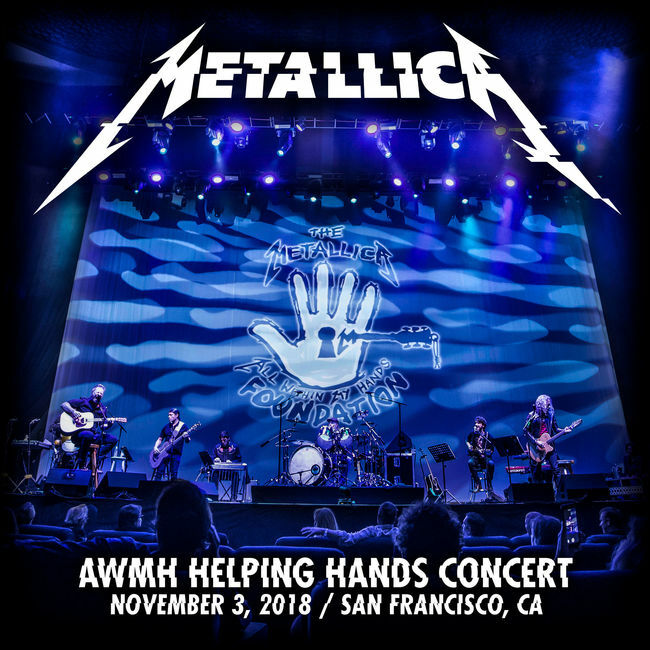 “Helping Hands…Live & Acoustic At The Masonic” captures Metallica’s acoustic set of original tracks and cover of tunes by Deep Purple, Nazareth, Bob Seger and Blue Oyster Cult. The limited edition, 2LP colored vinyl release will see all proceeds donated to the group's All Within My Hands Foundation, which celebrated its first full year at last month’s event; the non-profit organization was launched in 2017 to help create sustainable communities by tackling the issues of hunger and workforce education and encouraging volunteerism. Metallica are set to wrap up their 2018 live schedule in Fresno, CA on December 9 before resuming the North American trek in mid-January.